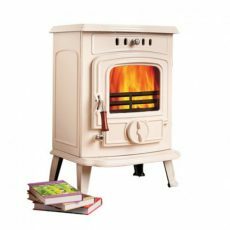 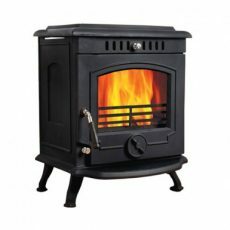 The Caedmon Option has choice of all the features of the Caedmon but also has a wider hotplate with air vents at the sides and convection panels fitted, reducing the distance to combustibles at the sides to 300mm. 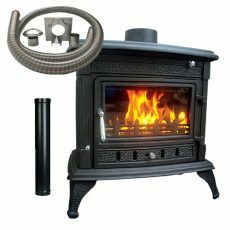 The Caedmon Option can be supplied with an outside air kit, which is now a requirement in a lot of new build properties, and this version is also available with remote control if required. 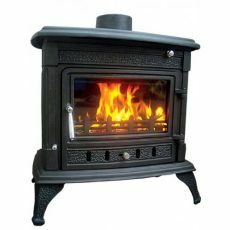 The Caedmon is top flue only and is suitable for a 12mm hearth.